Potato fritters are essentially a potato side dish or meal accompaniment, just like British chips or french fries. 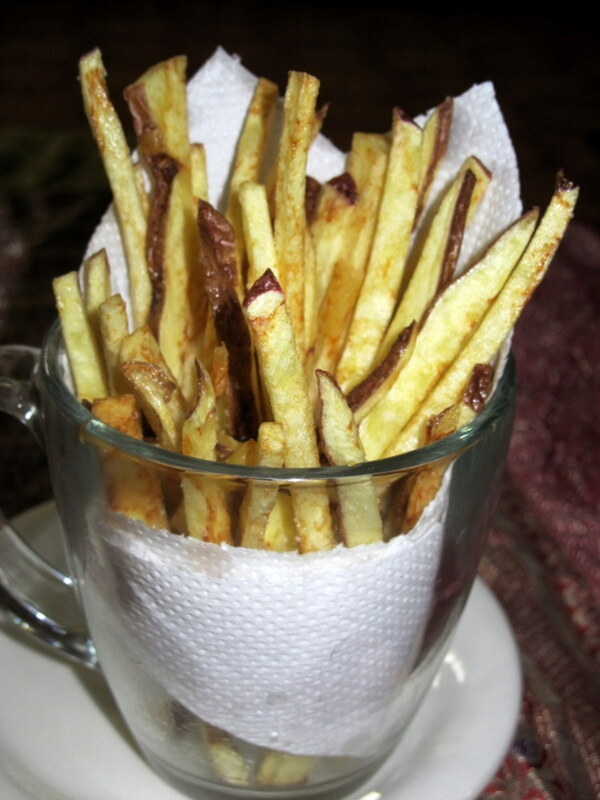 They consist of slices of potato deep fried in a simple batter. Fish and chip shops sell them by the portion and they are eaten either alone or along with a fish or meat based main dish. There is nothing difficult about making chip shop style potato fritters but the one danger is that the centre of the potato slice can remain hard and unpalatable when the batter is cooked. This page is about showing how to make the perfect potato fritters at home, with a crispy batter on the outside and soft and fluffy potato all the way through on the inside. What Type of Potatoes Should I Use to Make Fritters? Allow one large potato per portion. Be wary of planning to make too many fritters at once as it is important not to overfill your pan or deep fryer. 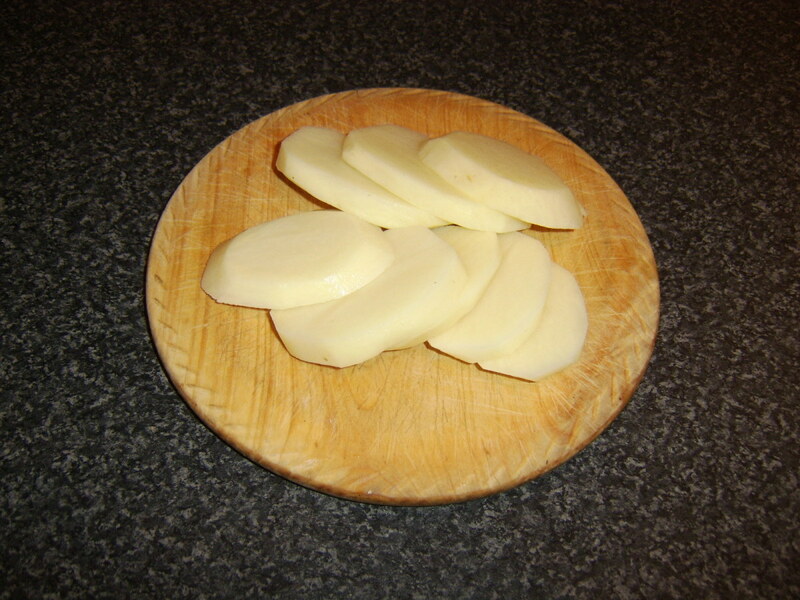 Peel the potatoes and slice to a thickness of approximately half an inch. 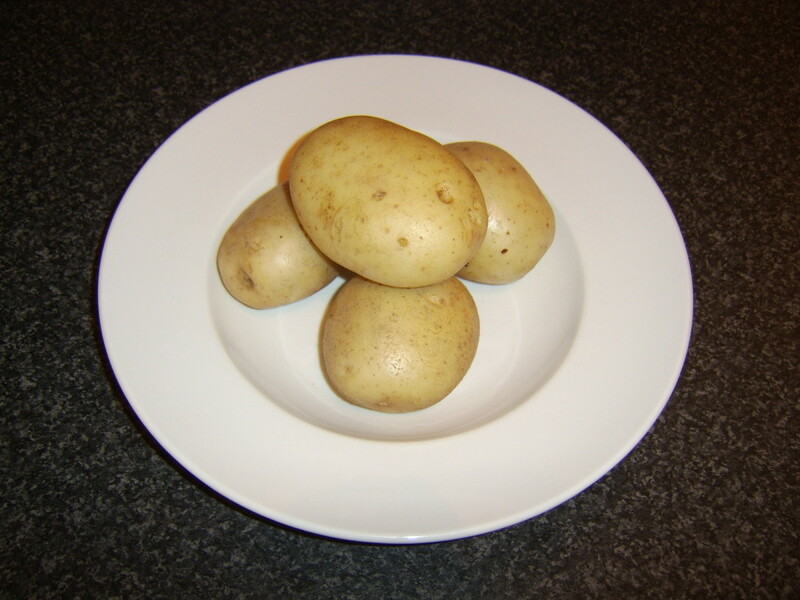 The potato slices are firstly going to be parboiled. This will help ensure they are cooked all the way through when served. A good tip here is to firstly place a deep fat frying wire basket in your pot before adding the potato slices and enough cold water to comfortably cover them, as this will help remove them from the water without breaking any. Put the pot on to a high heat until the water boils. Reduce the heat and simmer for ten minutes. 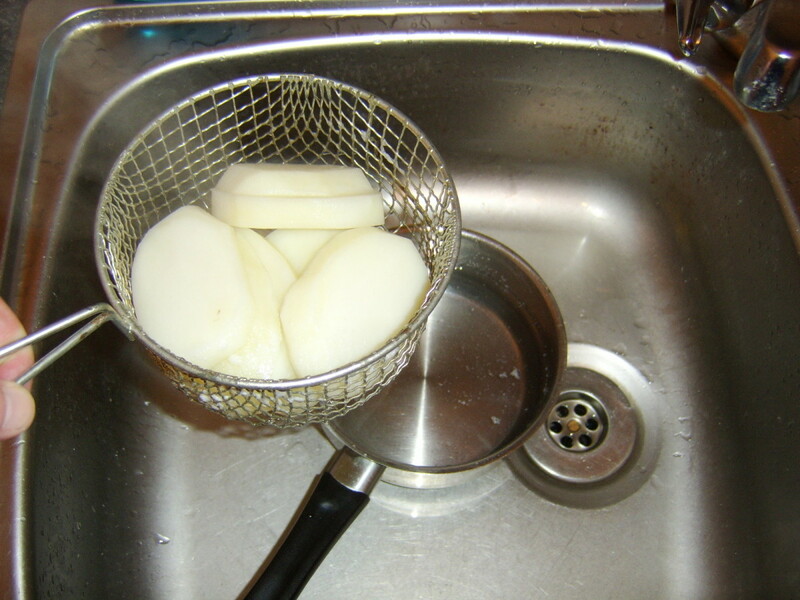 Take the pot to your sink and simply lift the basket out to drain the potatoes. This eliminates the risk of breaking any by draining them through a colander or sieve. Empty the pot and run it under cold water for a minute or two to cool it down. Half fill with cold water and lower the fritters (still in the basket) in to the cold water for two minutes only to help cool them quickly. 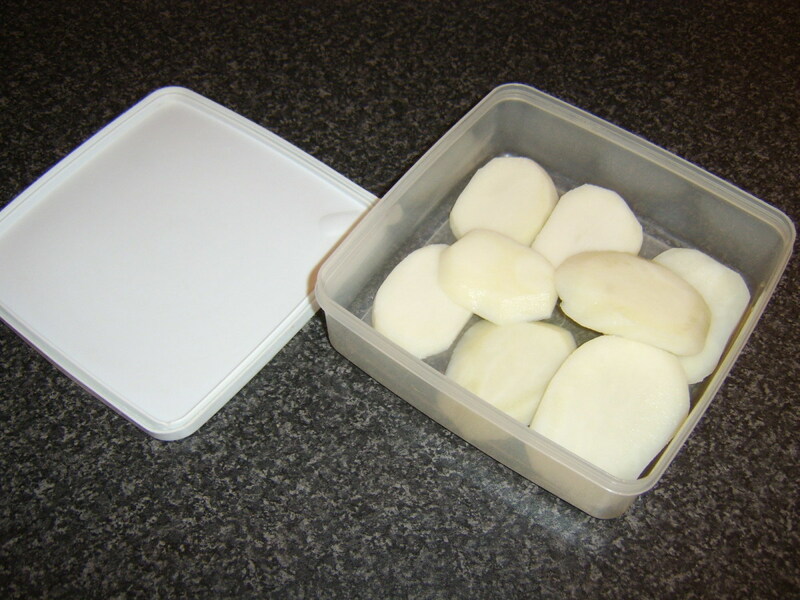 Drain again as before and lay them in a large plastic dish with a lid. Put the lid on the dish and refrigerate for a minimum of half an hour, while you perhaps focus on preparing what will be the accompaniment to your fritters. It is not essential but it is a good idea to make your batter for the fritters slightly in advance and allow it to rest for around half an hour in the fridge. 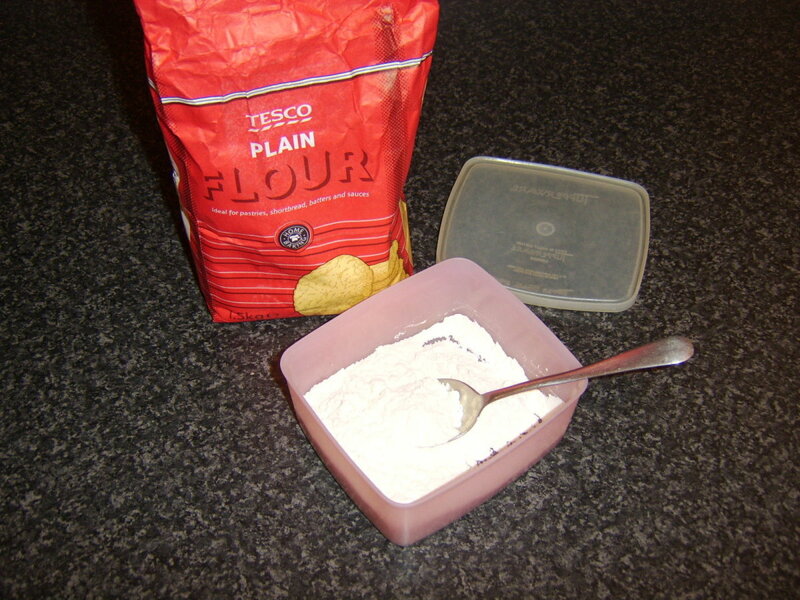 For a portion of fritters, add two tablespoons of plain/all purpose flour to a small dish with a lid. Season with a pinch of salt. Slowly add cold water, whisking all the time with a fork or small hand whisk, until you achieve the consistency of thick paint or cream. Cover and refrigerate until required. 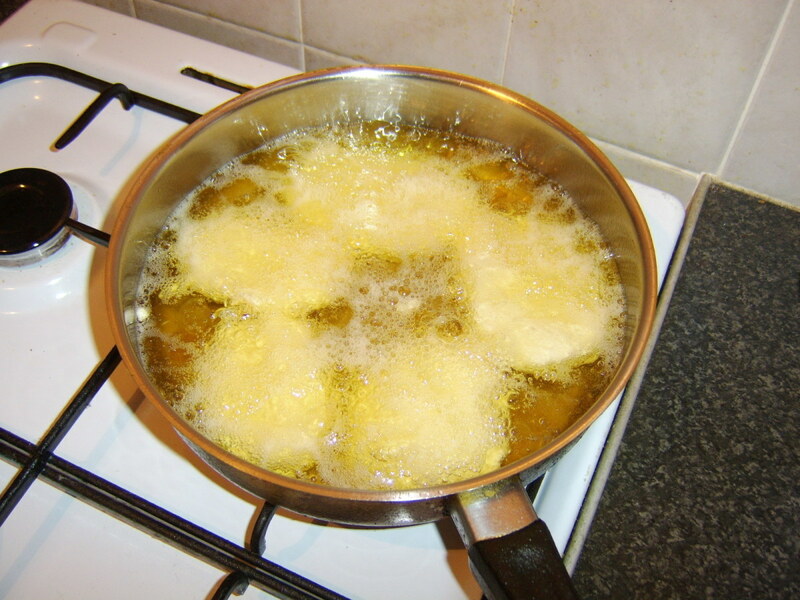 Bring the oil in your pan or frier up to a fairly high heat, around 170C/350F if a temperature gauge is fitted. Dip the potato fritters one by one in the batter to coat and hold them over the dish for a couple of seconds for the excess to drip off. Very carefully and gently, lower them in to the oil and fry for five to six minutes until the batter is crisp and golden. 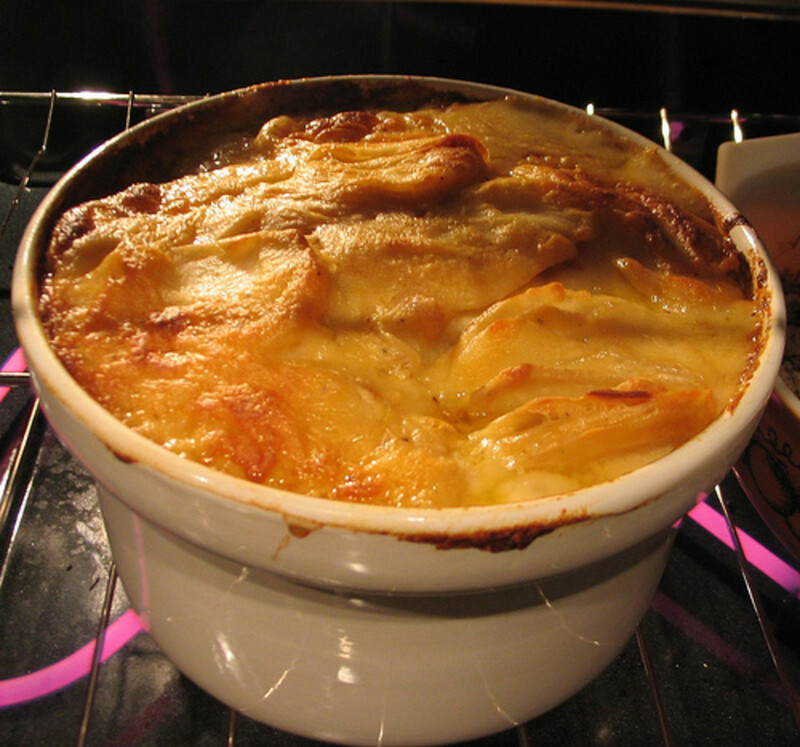 In a shallow pan, turn halfway through cooking. Remove from the oil to a plate covered with kitchen paper to drain before service. 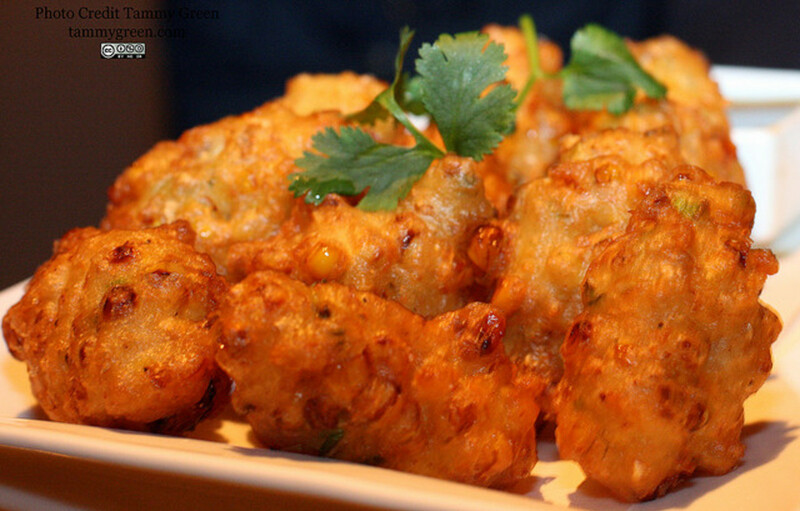 What Do You Like to Eat with Fritters? 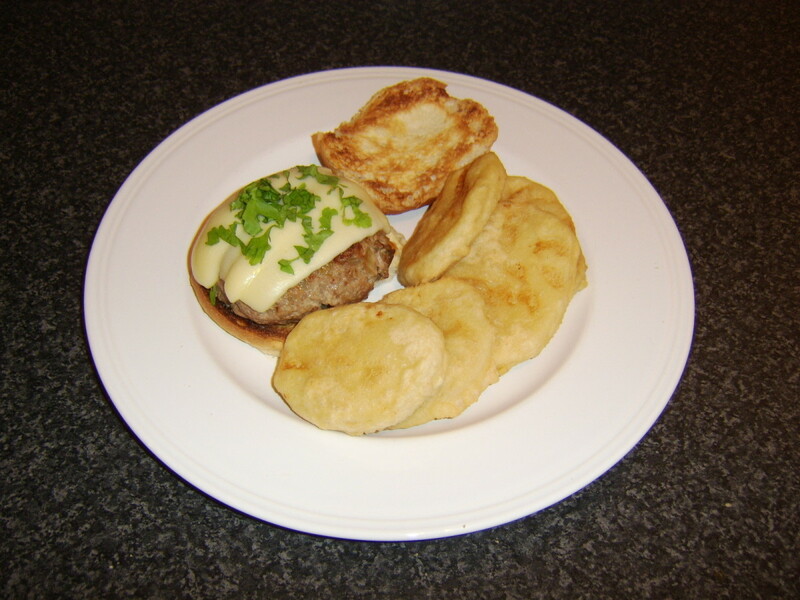 Essentially, fritters can be made to accompany anything which is normally served with deep fried potatoes of any description. Why not give them a try? Traditional condiments served with fritters include salt, malt vinegar and either brown or tomato sauce - not forgetting pickled onions! Thank you for visiting this page and hopefully, especially where you were previously unfamiliar with them, you will give making chip shop style fritters a go. If you do, please share the details below of how you enjoyed them and with what you chose to serve them. 3.3 stars from 63 ratings of these Potato Fritters! Thanks Jean and good luck with trying out the recipe. I hope you enjoy the fritters. Hi, Helen. I'm afraid I have no experience of using a halogen oven. If you can normally deep fry other things in it in the same way, then I don't see why you couldn't make these fritters in it. You're very welcome, Alan, and I'm delighted you enjoyed these fritters. Thanks for taking the time to let me know. Just made these fritters for the first time and wow what a success. I'd been thinking of making fritters for some time and found your site on a search. So glad I followed your instructions and will definitely be making them again. Thanks once again. Sometimes, they are dipped in flour immediately before they are dipped in the batter Julie to help the batter stick but I usually don't bother with this practice. Hi Stacey and thanks very much for letting me know you enjoyed the fritters. I'm glad they worked out great for you and hope you have the opportunity to enjoy them many more times! Thank you for your recipe just gonny try making them now will let you know how they turn out. Great! I love potatoes and could eat them with every meal. Hi, Jimmy - and thanks for getting in touch. I hope you enjoyed your fritters! Have spent a bit of time in Yorkshire but never heard of the Yorkshire fish cake of that type. That sounds amazing!!! I'll definitely give it a try. I haven't had fritters for years, but definately on the menu for tonight after reading your tip for boiling them in a basket first, so they're less likely to break. 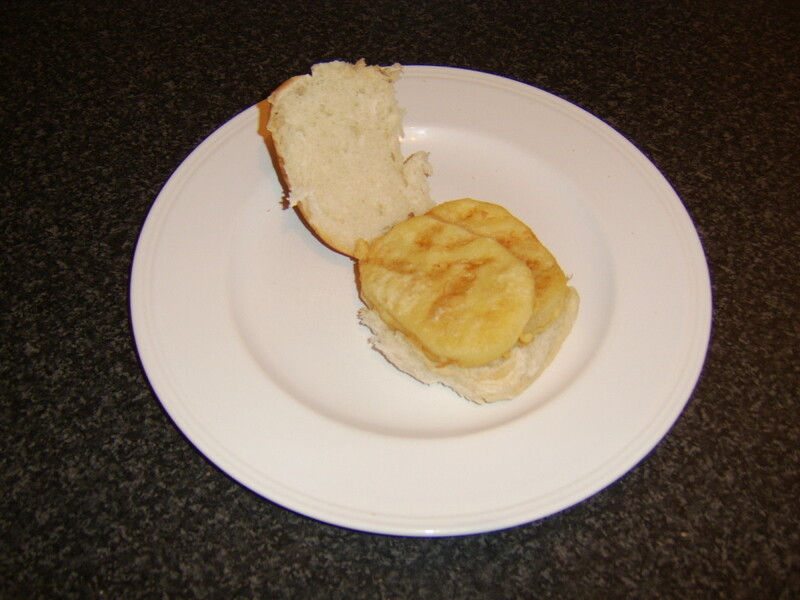 Many years ago I had in Yorkshire what the "chippie man called a Yorkshire Fish Cake" it was two thin slices of potato and sandwiched in the middle was the thinner tale end of a piece of cod, dipped in batter and deep fried. Wonderful !!!! I don't see why sweet potatoes wouldn't work Glenis but I can't say I've tried it. Hope you give it a go and it works for you. A blast from the past! I used to get these from a local chip shop when I was a girl and loved them. Sadly, none of the chip shops around here make them nowadays. And I'm on a strict weight loss diet at the moment, anyway. I wonder if the recipe would work with sweet potatoes, which are a tad more healthy. Im 15 and live in scotland. At school at lunch time everyone goes to the chippy down the street to buy these fritters! Theyre great. 40p for a single fritter and 70p in a roll. 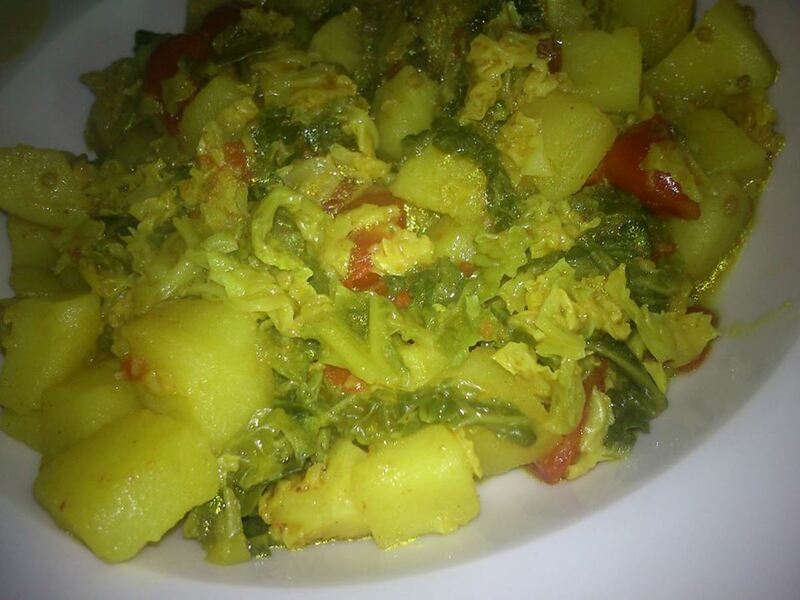 This recipe is great and this food is my favourite! Thankyou for sharing. Hello, Margaret. I know Larkhall very well! I'm afraid I haven't yet got round to making suet crust pies but maybe someday. Glad this recipe was useful to you and thanks for letting me know. 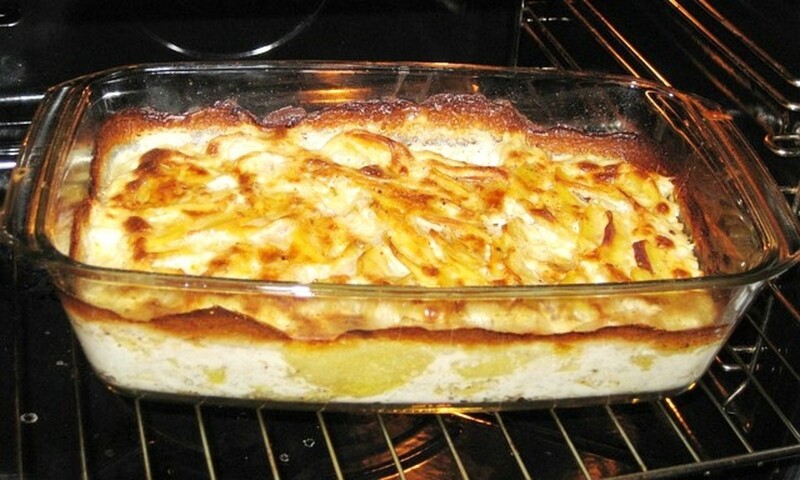 Many thanks for the recipe. I'm from Larkhall...came to Canada over 50 years ago but despite my food versatility, there's nothing like the old country meals. You wouldn't happen to have the recipe for the suet crust meat pies? The kind we used to get on every street! Pie and mushy peas! After that...head home and slice off a nice piece of clootie dumpling!!! How grand is life pal? Glad you enjoyed them, lace and that you have some new converts to potato fritters. Hope you come up with more tasty ideas of home to share with your new friends. Best wishes and thanks for visitng and commenting. Moved to Canada about 8 years ago, made this for some of my Canadian pals, put them on a roll with salt vinegar and red sauce. They loved it! As did me. One thing I miss...the Food!! Re the pakora, it has been on my "To do" list for a while. I actually went to try it once but couldn't find the right type of flour anywhere locally. I'll be in Glasgow at some point over the next couple of weeks, so will try to pick some up there or I'll order it online and give it a go. The fritters were lovely :) I cooked the potatoes like you said first, but only gave them 5 minutes because they are 'laughing potatoes' (they crack up!) but they turned out well, so thanks again. Any chance of doing a hub on pakora and the Scottish pakora sauce? Looking for the recipes. Glad you like the Hub and that it's likely to be useful to you. I wouldn't imagine the egg batter would make much difference. May just take slightly longer to cook. Thanks very much for the great, complimentary comments. I hope you enjoy your fritters! This is an excellent hub Gordon! I actually found it on Google search as I was looking for the recipe. The first few in Google were awful compared to your hub! 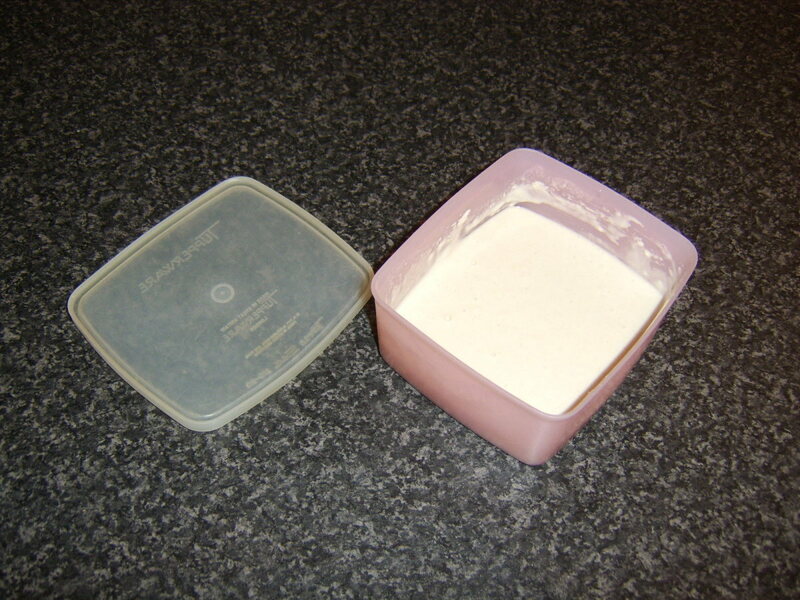 I made fish in batter earlier, and still have some batter left so want to use it up. It's an egg batter but I don't suppose it'll make much difference - I just wasn't sure how to cook the potatoes or how thick to cut them, and you have answered it perfectly (without me having to ask!) Thanks a lot! Hi Gordon, Opa made your fritters for us tonight. They were great. Thanks for giving him the idea. He says he might try making them with yams or sweet potatoes next time. If you think this will work please give him some tips if he needs to prepare them differently. Best wishes, Max and Josi. Hi, Steph. Thanks for stopping by and commenting and I'm glad you like potato fritters. 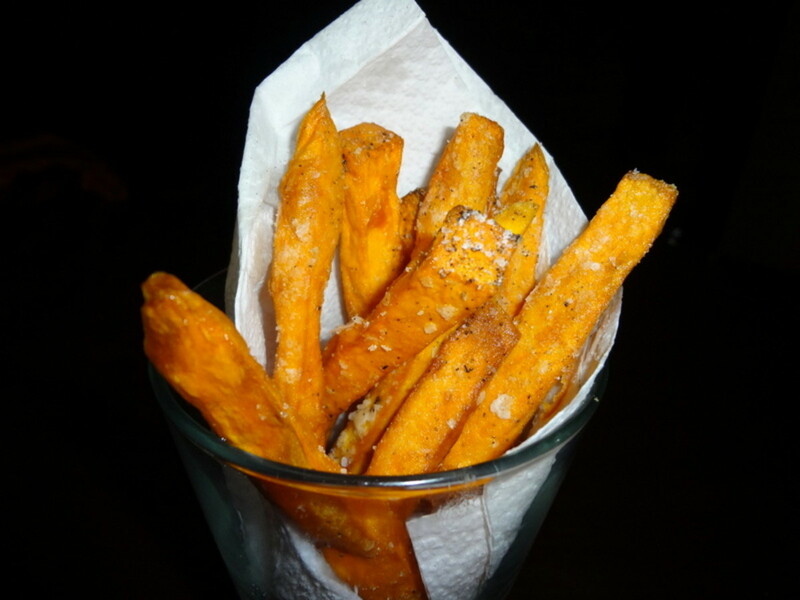 They are so tasty for being essentially so simple and I hope your kids enjoy them. Hello, Derdriu. I hope you enjoyed your dinner and that you get to try these fritters soon. Salt, vinegar and brown sauce complement them to perfection. Thank you for visiting and for such a positive comment. Gordon Hamilton: What a delectable topic about which you write so clearly with such attractively helpful photographs! Vinegar, salt and brown sauce are what I prefer in the way of condiments. This evening I'm having a late dinner in about 3 hours and your photos and text are appetite-stimulating and downright hunger-inducing. If the menu had not been determined previously, it would be a chip chop potato fritters night for sure! 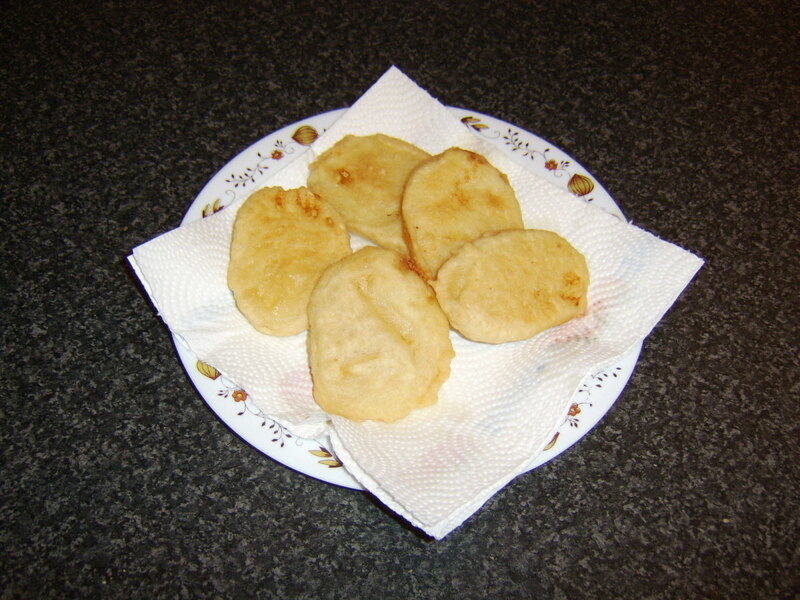 I remember eating potato fritters as a child, they were so tempting it was difficult waiting for them to cool a bit. Hi, RTalloni. Yes, there are a few options you can try. I hope you like them all ways and that they go well with how you cook your eggs. Thanks for the visit and comment. Thanks, Real McCoy. I hope you come up with the right idea for your own Hub. Thank you, Senoritaa. 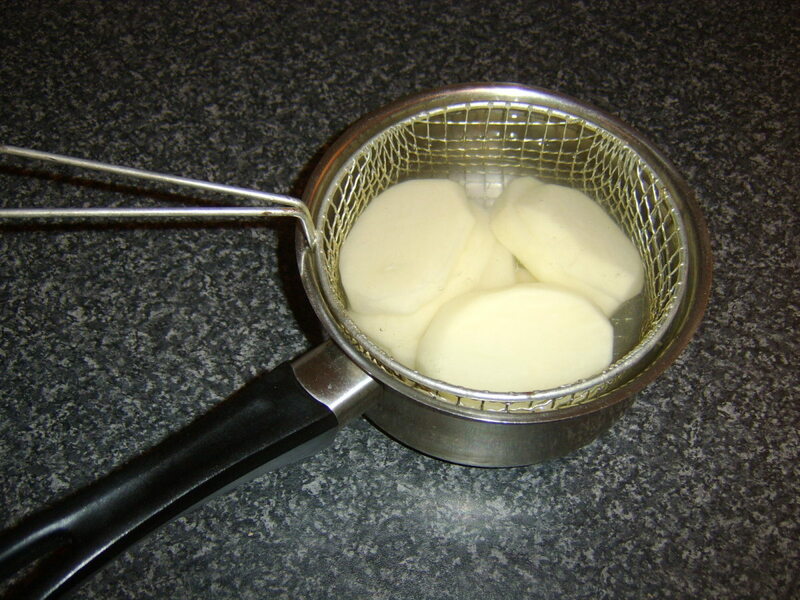 The wire basket does make a huge difference and eliminates most of the risk and frustration caused by broken potatoes, whether making fritters or fries. Looks delicious. Definitely going to try. And great tip about boiling the potatoes with the wire basket. This would be even better than steak fries! I'll try them this way first, then I might try them in my green pans that do not need much oil. Fried potatoes and eggs are something I like for a quick supper sometimes. 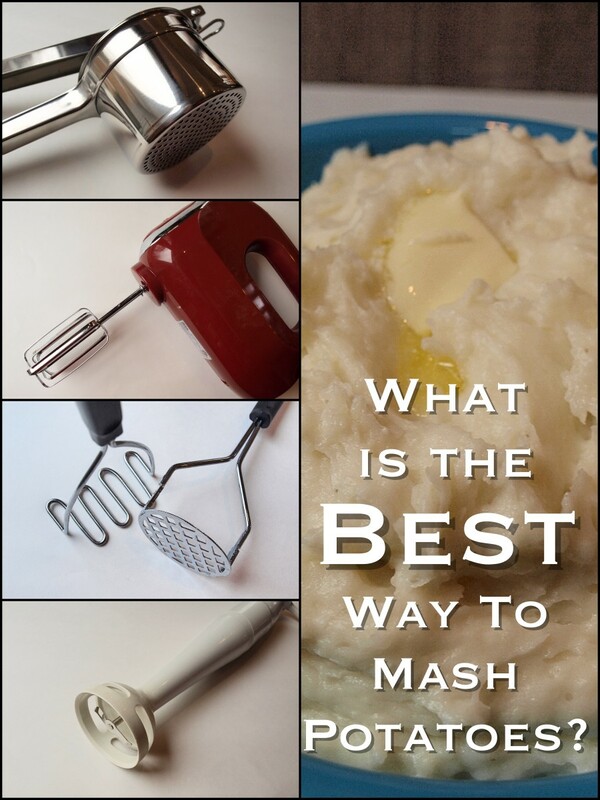 Thanks for sharing this way to cook the potatoes.